This will be the first post on my Inglot blush palettes. 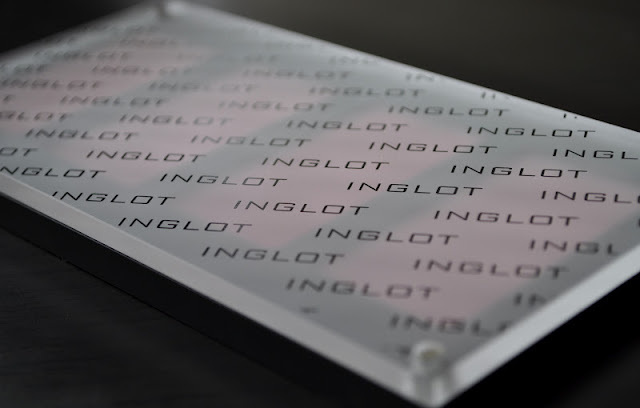 Inglot is one of my favorite cosmetic brands and I believe their Freedom System is ingenious. From left to right: 20, 36, 38, 56. Face Blush 20: A matte pale yellow based pink. Face Blush 36: A matte blue based medium pink with micro silver sparkles. Face Blush 38: A pale cerise pink with a subtle shimmer. Face blush 56: Similar to 36 but a bit deeper pink with a bluer undertone. This blush also has micro silver sparkles. Inglot's Freedom System Blush Palettes hold up to four blushes at 7g/ .25 oz each. The palette itself retails for $14.00 and the blush pans are $10.00 each. 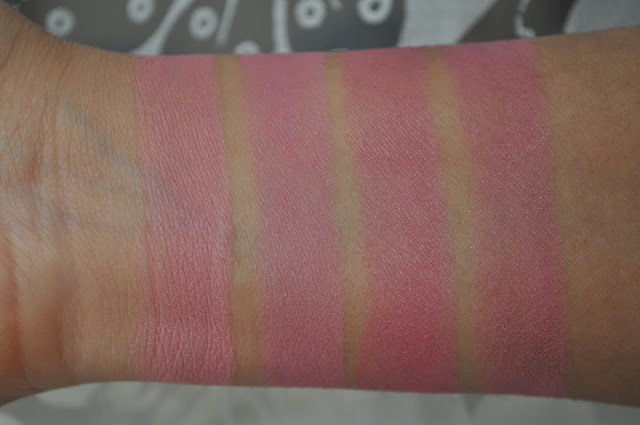 Inglot blushes are extremely pigmented, so heavy handed ladies BEWARE!! These lovelies wear for a good amount of time, about five to six hours and they don't oxidize after they've mixed with your skins natural oils. I truly love these blushes for there quality and performance. My only issue with Inglot (as a whole) was the price increase of the freedom system palettes some months ago. The freedom blush palettes used to retail for $6 per palette and the blush pans were $9.00, a total increase of $13.00; but hey, it's still a great system and even more so, a great deal based on the amount of product you get. 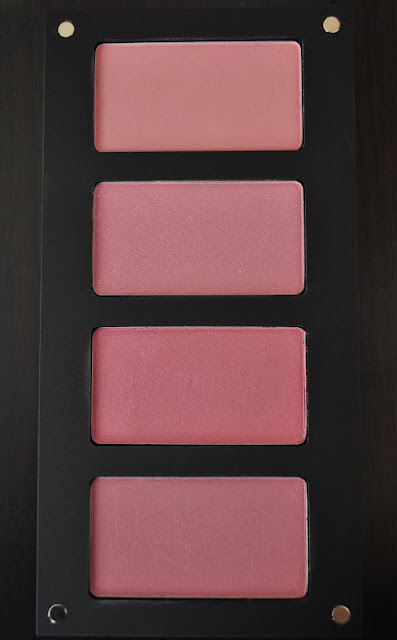 Have you tried any of Inglot's blushes?